Nuala O’Connor, Emmy-award winning producer and director and co-founder of Ireland’s Edge, writes for Culture about the event, which takes place in Dingle this weekend and will be streamed live on RTÉ Culture. 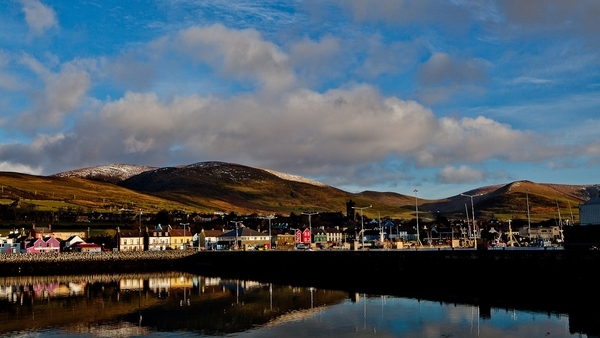 Dingle is a small town with the biggest profile in a location recently added to the map of Ireland, namely the Wild Atlantic Way. It is here for the past 17 years that the event of the Wild Atlantic winter happens, Other Voices, along with its junior partner, Ireland’s Edge, added to the programme in 2015. 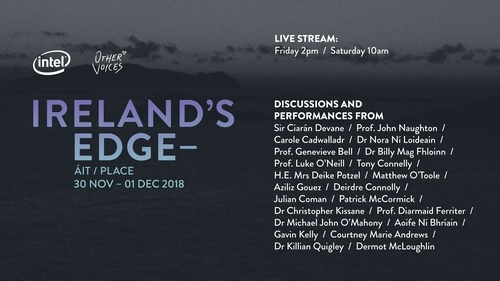 Ireland’s Edge began life at Other Voices Dingle as a conversation around creativity and technology and the possibilities of the STEAM ( Science Technology Engineering Arts and Maths ) agenda. It became an actual event in 2015 with a two-day conference in the Skellig Hotel. Ireland’s Edge‘s USP lies in the way that people from across many diverse sectors, disciplines and occupations - artists, engineers, scientists, writers entrepreneurs planners and policy makers - mix together on panels and in the audience, some of them for the very first time. Other Voices is a cultural event which could not operate without technology. It is technology-immersive at all levels, from making and broadcasting to recording, streaming and everything in between. So it seemed like a natural development to talk about culture’s central role in society - our "intangible infrastructure" as one of our curators has called it. Just what makes Ireland distinctive and unique, and how does this play out in all these areas? These are some of the questions that come up again and again. This year the theme for Ireland’s Edge Dingle is Place. A bit of a no-brainer, really. There are so many notions of Place which exist in the public and personal sphere. Not to mention those which are unconsciously held in the private sphere of the imagination. Within countries and communities, there are shared collective ideas of place which are closely connected to those of identity and home. Social, political and environmental change can disturb and even dismantle these embedded narratives of place and identity. For the Irish Diaspora, it’s been the case that different perspectives on place and identity develop in relation to the distance in generations removed from the home country. Sometimes the identification with Ireland can disappear, only to reappear in another generation as an affinity with Irish culture, traditional music or literature. Watch Ireland's Edge live on www.rte.ie/culture from 2pm on Friday, November 30th and 10am on Saturday, December 1st. For tickets and further details go to the Ireland's Edge website.